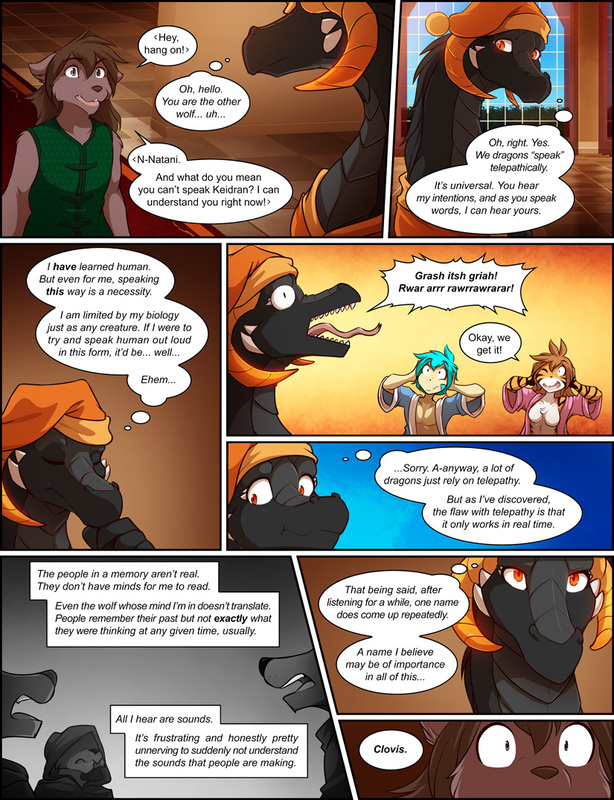 990: The Trouble with Telepathy - Twokinds - 15 Years on the Net! Natani: N-Natani. And what do you mean you can’t speak Keidran? I can understand you right now! Reni: (thoughts) Oh, right. Yes. We dragons “speak” telepathically. It’s universal. You hear my intentions, and as you speak words, I can hear yours. Reni: Grash itsh griah! Rwar arrr rawrrawrarar! Flora: Okay, we get it! Reni: (thoughts) …Sorry. 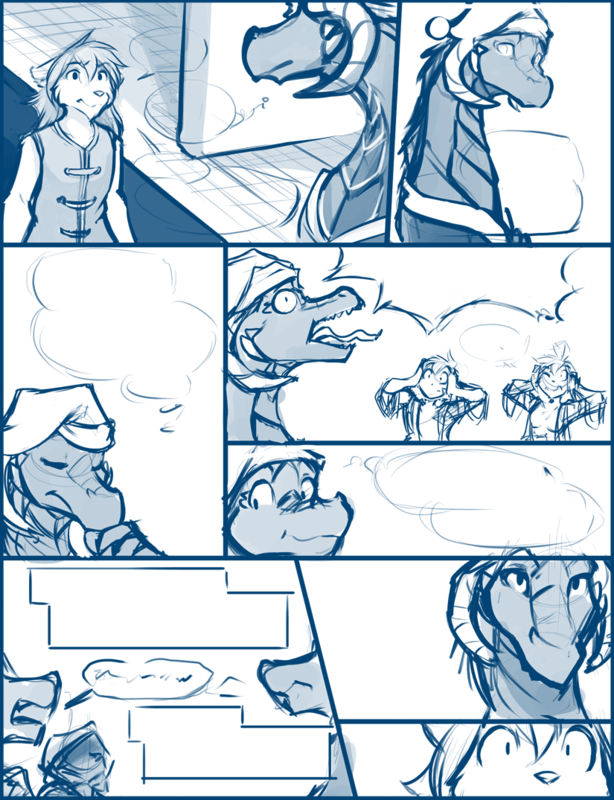 A-anyway, a lot of dragons just rely on telepathy. But as I’ve discovered, the flaw with telepathy is that it only works in real time. Reni: (thoughts) The people in a memory aren’t real. They don’t have minds for me to read. Even the wolf whose mind I’m in doesn’t translate. People remember their past but not exactly what they were thinking at any given time, usually. Reni: (thoughts) All I hear are sounds. It’s frustrating and honestly pretty unnerving to suddenly not understand the sounds that people are making.